Fanboys need something to drool over. In MWCs past, the event's news has typically been dominated by Samsung showing off its latest Galaxy flagship smartphone for the year. But the company's delayed announcement this time around meant that the scores of tech aficionados at the show needed something else to get hyped about. Surprisingly, it wasn't LG or HTC or even Samsung's own newly unveiled tablets that stepped up to fill the void. The phone that has everyone most excited here is the new Nokia 3310. The immediate impact on Samsung in particular is obvious. In previous years, the crowds at the company's booth were larger -- at least to our eyes -- than they were this year. That may be because the company's two tablet announcements at the show were not especially exciting. Samsung itself seemed keenly aware of how uninspired its new products were, frequently referring to its "upcoming smartphone" during its tablet press event and even ending the keynote with an official launch date for the Galaxy S8. 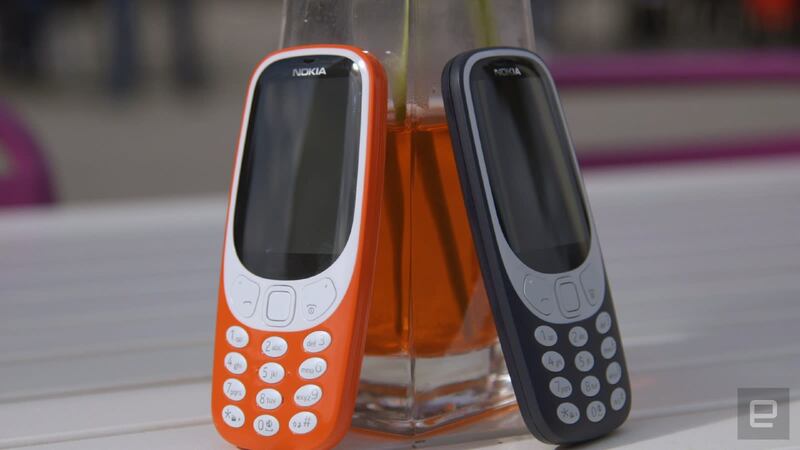 On the other hand Nokia -- via current brand owners HMD -- delighted fans by unveiling the revived 3310. Although we had already heard rumors about the old-school device making a comeback, it was still exciting to get our hands on the actual handset. There's something about picking up the new version that transports you to a simpler time, and that feeling is perhaps what drew the crowds that mobbed the company's booth on the convention floor. Plus, Nokia still clearly has hordes of loyal fans that wanted to see this happen. Whether it's nostalgia, curiosity or simply the need to find something cool to post to Instagram, something is driving people to the Nokia 3310. And since the phone will cost just €49 when it arrives in the second quarter of the year, it's extremely possible, given the hype here at the show, that the handsets will sell out the day they're available.